Holy Child B.N.S. is a large primary school based in Larkhill, Whitehall, Dublin 9. It is comprised of 15 students and 260 students. 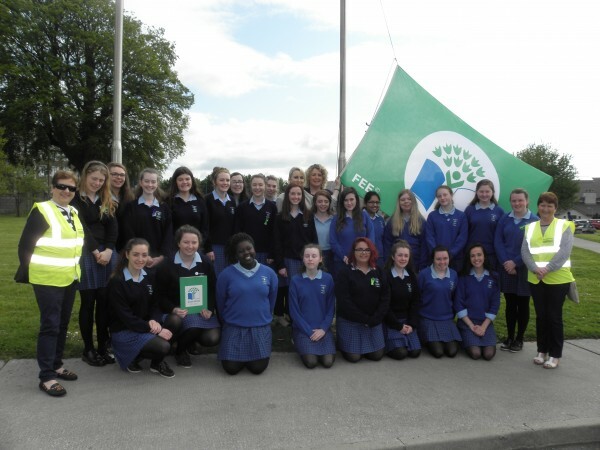 They were awarded their first Green Flag for Litter & Waste in 2016 after reducing the amount of waste being sent to landfill by 36%. The Green-Schools committee includes the principal, four teachers, the caretaker, the cleaner and a representative from each class. The committee meet fortnightly for 15-30 minutes. Occasionally, extra meetings take place to discuss problems, review progress, etc. A sixth class pupil acts as secretary and takes minutes. 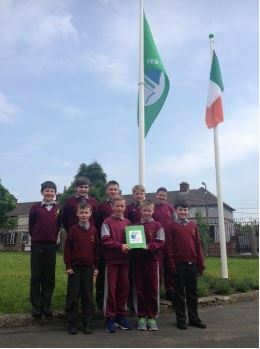 The Green Schools Committee carried out all essential and recommended actions outlined in the Green-Schools Handbook. Litter blackspots were identified in the yard. The School garden was not looked after and was becoming a common area for rubbish to be dumped. 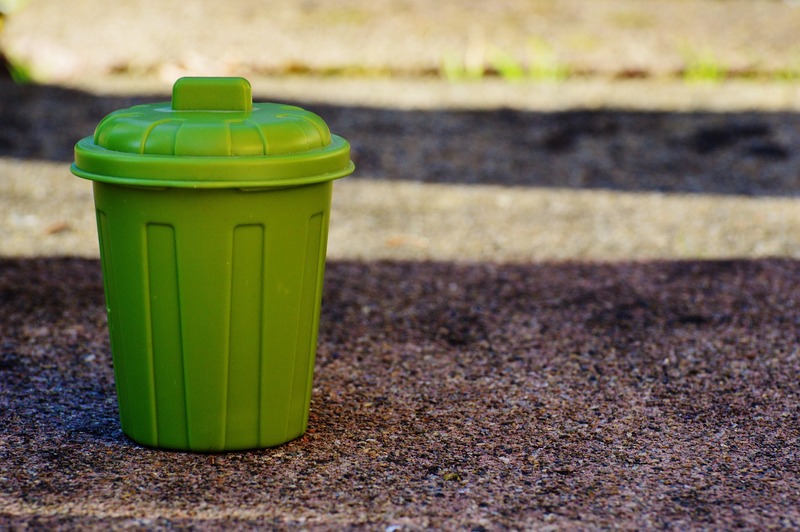 Paper was highlighted as the greatest waste producer. Poor recycling habits existed in the school. The following items were not being recycled: paper, ink cartridges, electrical devices, and clothing. Lunch waste was going straight to landfill with zero composting in place. School grounds are now litter free. Clearing the old hedging and the planting of bulbs and flowers around the school inspired children to get interested and involved. Almost all paper is now being recycled or re-used. Pupils use lunch boxes now rather than plastic bags to carry lunches to school and waste home. A new Green-Schools noticeboard is in place and updated almost every fortnight. 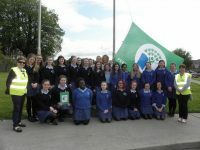 Pupils continue to monitor litter disposal on the yard. They have achieved a 42% reduction in recycling paper due to double sided policy. Overall waste output is down 80% from 55 120L bags to 11 bags going out per week. Hold Child B.N.S are now working on reducing bags further by changing the lined bins to a tray (known as a last resort tray) rather than wasting bags. This will mean just one bag at the end of the week is put out to rubbish. This is a reduction of 98.1%. 3rd/4th: The natural and built environments-observation, discussion and recording. All: Appreciation of natural resources e.g recycling of materials and reducing water use / Understand the ways in which people use the earth’s resources e.g: mining, fishing, forestry and agriculture. 4th-6th: Identify and discuss environmental issues e.g effects of new roads, ozone depletion, global warming. 3rd-6th: Come to appreciate individual, community, and national responsibility for the environment. All :Participate in activities that contribute to the enhancement of the environment e.g collecting of materials for recycling. 1st & 2nd: Green school songs sang during green week. 1st – 6th: 3D art constructed from recycled materials for exhibition during Green Week. All: Minutes from meetings, notice work for Green Board, newsletter write ups. Informing teachers: Regular updates and discussions at staff meetings. The acronym chosen really conveys the strong environmental ethos now embedded throughout the school! Love our community, Love our school. Always follow our green code. Keeps us all in the green. Help the team achieve the flag. Intelligent actions are the way! Lead by example is our rule. Love Holy Child; our great green school. Our school grounds are greener, cleaner and look more attractive than they ever have before. The school has saved lots of money due to the cut back in waste leaving the school. Children have become interested in environmental issues having undertaken the programme.